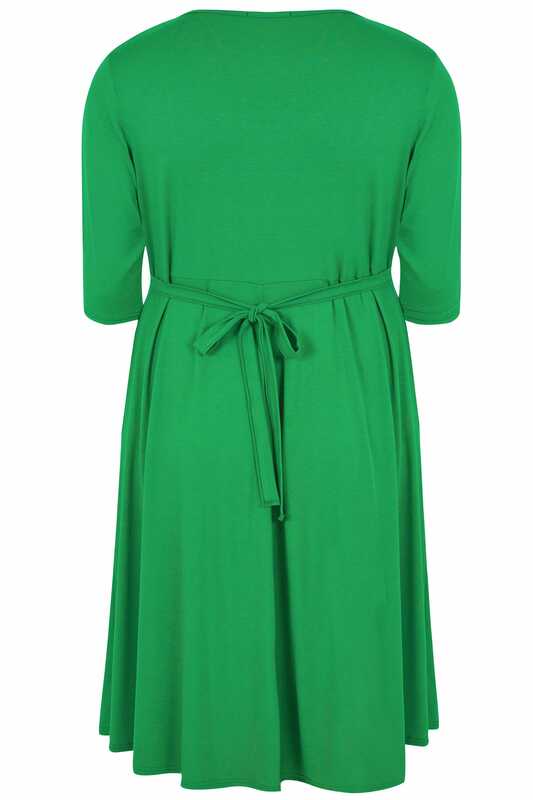 Add a dose of colour palette to your wardrobe with this chic dress. 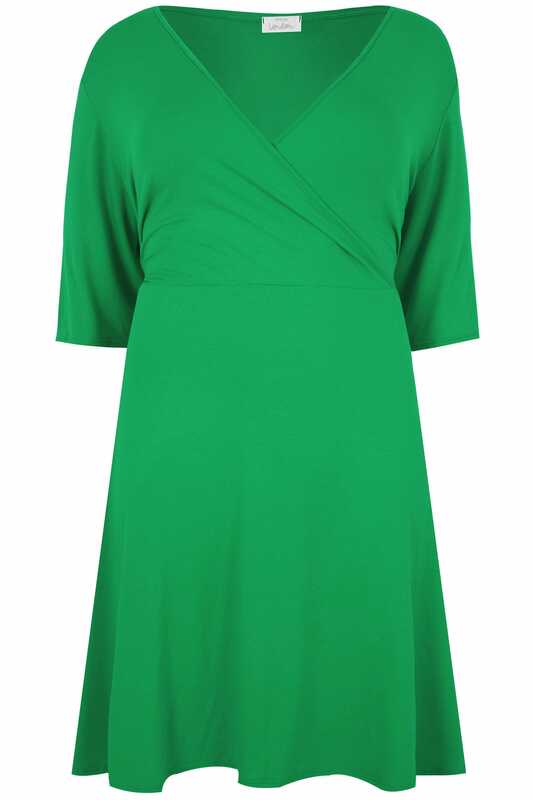 Made from a stretch jersey fabric, it features a flattering wrap over front and a tie-waist for figure definition. Team with a pair of courts to complete the look. A simple style you can turn to season-after-season, we are loving the dark green hue.